The LEDs surrounding the V4 ear cups give Edifer’s gaming headset a nice look. I reviewed Edifer’s G4 over-ear gaming headset last year so was keen to look at the company’s V4 gaming headset when I was offered the chance but just how do the two headsets differ? To be honest, I’m not sure, as they both seem pretty similar in terms of specifications and design. Like the G4s, the V4s are comfortable to wear, with the faux leather padded ear cups cushioning your ears. I wore them for extended gaming periods and didn’t experience any discomfort or soreness and they didn’t feel heavy on my head. The V4s also did a good job of blocking out exterior noise – perhaps not as good as my Sol Republic headset – but enough to quieten down exterior TV noise or conversations. The V4s have a faux leather material that means the ear cups are comfortable. The V4s are PC, PS4 and Mac compatible and each ear cup has a 40mm driver unit (as well as in-built LED lighting in the mesh metal interior), offering a frequency response of 20Hz – 20KHz (I have no idea what that means) and an impedence of 20ohm (again, I have no idea what that means). The headset connects via USB and the 2.5m-long cable is enough to let you plug it into a games console in a TV entertainment unit and let you sit on a couch. The cable has an in-line remote built in which turns the headset on and off and mutes the retractable boom microphone (which sits in the left ear cup). I tested the headset on my PC, playing Respawn’s excellent Titanfall2 and on PS4, playing Rockstar’s also excellent Red Dead Redemption 2. Audio was clear and crisp, with nice bass tones in both games. The V4s also have positional 7.1 surround sound built in, which means you can hear everything that’s happening, and vibration, activated with a toggle on the inline remote control. The vibration isn’t over-the-top and just a slight enhancement of the game audio. It’s nice that you can toggle it on and off, meaning if you don’t want the vibration, you can switch it off. The retractable boom mic & inline remote control. The headset band is quite flexible, seeming pretty robust (although, I wouldn’t get too carried away twisting it) and it’s well priced, clocking in at just under $NZ100. Overall, Edifer’s V4 gaming headset offers a great gaming headset that’s comfortable, provides good in-game audio, and, importantly, won’t break the bank if your looking for a good entry level gaming headset. I’m still not sure what the difference between the G4 and V4 headset is but with a great price and great performance, Edifer’s V4 gaming headset seems like it’s two-thumbs up worthy. Thanks to PR company King Creative Media for the review unit. Selfie courtesy of the game’s photo mode. Late to the Party is a n infrequent feature when I review a game that has been out for a while but I haven’t been able to review it at launch. Today, I’m looking at Spider-Man, on the PlayStation 4, which arrived a day after I had left for vacation in Canada. I was gone for a month. For me, the Peter Parker in Insomniac’s Spider-Man isn’t the youthful Tom Holland from the most recent Avengers movies (inexperienced and unsure of his abilities), nor Toby Maguire’s Peter Parker (new to the superhero lark), but Andrew Garfield’s Peter Parker, a superhero that is comfortable with his abilities and wearing the red-and-blue suit, but a little socially awkward at times. In Insomniac’s Spider-Man, Peter Parker has been spinning the web for a while now, so he’s come to grips with his abilities and what he is capable of and the narrative features an ensemble cast of well-known villains and characters from Spider-Man lore, including Doctor Otto Octavius (Doc Oct), Martin Li (Mister Negative) Scorpion, Tombstone, Electro, (love interest) Mary Jane, Aunt May and Norman Osborn. The story has Peter defeating crime kingpin Wilson Fisk in the opening moments of the game, putting him behind bars, only for another crime lord to rise in his place in the form of Martin Li, or Mister Negative. As I write this, I’ve been back from Canada for almost a week and have completed about 55 per cent of Spider-Man’s main campaign, collected 50 of the 55 backpacks and done about half a dozen research missions.I’ve also taken on thugs patrolling construction sites, tried to (unsuccessfully) capture wayward pigeons and had my arse kicked (a few times) by men armed with electric whips. One of the first things that I noticed with Spider-Man is that Insomniac have nailed the swinging mechanic perfectly. Before too long, you’ll be performing acrobatics between skyscrapers towering above the traffic and pedestrian-filled streets and zipping through the air. In fact, the swinging mechanic is so good I didn’t feel the want (or need) to use the game’s fast travel system: It was more fun getting to the location using the old-fashioned Spidey way. Melee combat is integral to Spider-Man and it’s top-notch, reminding me a lot of the combat in Rocksteady’s Batman Arkham series, and once I’d got to grips with the plethora of moves and combos, combat was fast and fluid, with me being able to guide Spidey from foe to foe seamlessly, filling up my suit’s focus meter which then let me unleash brutal finishing moves on hapless foes. I watched my son, who has completed the main story (yeah, yeah, it’ll ruin the story for me. I know), and there were some hallucination sequences that, again, reminded me a heck of a lot of Rocksteady’s Arkham series (you know the segments where a tiny Batman has to sneak around while a giant Scarecrow taunts him). I’m saying that as praise, not a criticism, by the way. There’s a lot to do in Spider-Man when you’re not doing the main story mission, from collecting backpacks that Peter has left dotted around the city and doing research for Harry Osborn using laboratories he has left around the city to unlocking corrupted communications towers (which is a game mechanic that I think has been done to death in video games) and taking selfies at famous New York landmarks. While some of the busy work seems formulaic, a lot of it was a good break from the hectic moments of the main story. There’s a benefit to that busywork, too: The more collectibles and side stuff you complete, the more weapons, gadgets, skills and suit mods you can unlock so there’s a real incentive to do the busy work: The results are well worth it. I mean, what’s not to love about a bomb that explodes, showering all around it with web or electric web that shocks enemies. One thing I wasn’t a fan of is the wave-based enemy system used when you want to take down construction sites under Fisk’s control and demon bases ruled by Li but defeating bases is essential to unlock in-game Spidey suits, so I tolled away at them, but it was my least favourite aspect of the game. Spider-Man doesn’t invent the wheel when it comes to third-person action games – plenty of other games have done the same thing and Spider-Man does fall into the formulaic overused video game tropes at times – but Insomniac’s Marvel superhero game is so much bloody fun, with an engaging narrative, well-fleshed out characters and great game mechanics that it’s another reason why, for me, PlayStation is simply owning this console generation hands down. Now to see if I can complete it before Red Dead Redemption 2 drops this week (I’ve pre-ordered the game: I’m not getting review code). I don’t like my chances. The good folk at Wellington-based Leaping Tiger, a location-based friend finder app for gamers, is now available on Android platforms, after initially releasing on iOS. Think of the Leaping Tiger app as like social networking for gamers where you can find fellow gamers, let them know what current game your playing and be friends. One of the founders, Amy Potter, describes Leaping TIger as If Foursquare and Tinder had a baby, and that baby was really into gaming, that’s Leaping Tiger”. I’ve used the web-based Leaping Tiger and it’s great, even if I don’t use it enough when I game. I remember by the time I’ve almost finished playing! Now that it’s available on Android, which is my phone operating system of choice, I’m happy. 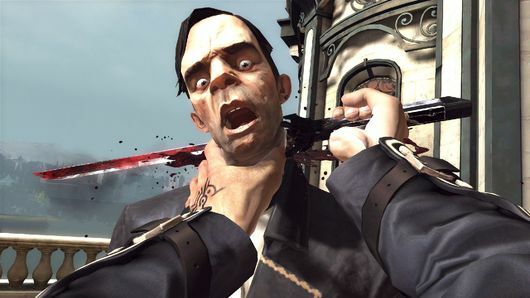 Dishonored is kind of like an onion: the deeper you delve, the more layers you reveal. Not layers of yucky onion-ness, which tastes disgusting and makes your mouth taste funny, but layers of gaming goodness that reveals itself the more you peel back. Dishonored is a game where the more you sit and wait, the more you explore and investigate, the more you learn about the world around you and the story behind it. It’s a game where you can stealth your way through missions, skulking from cover to cover, roof top to roof top, carefully memorising the patrol patterns of guards before teleporting to the next safe hiding spot, ever closer to your target. Or you can take the ‘‘Come one, come all’’ approach and confront every guard you came across – either lethally (hello Mr foldable blade) or non-lethally(hello neck choke). The makers of Dishonored have left it up to you how you want to approach things. Isn’t that nice of them? 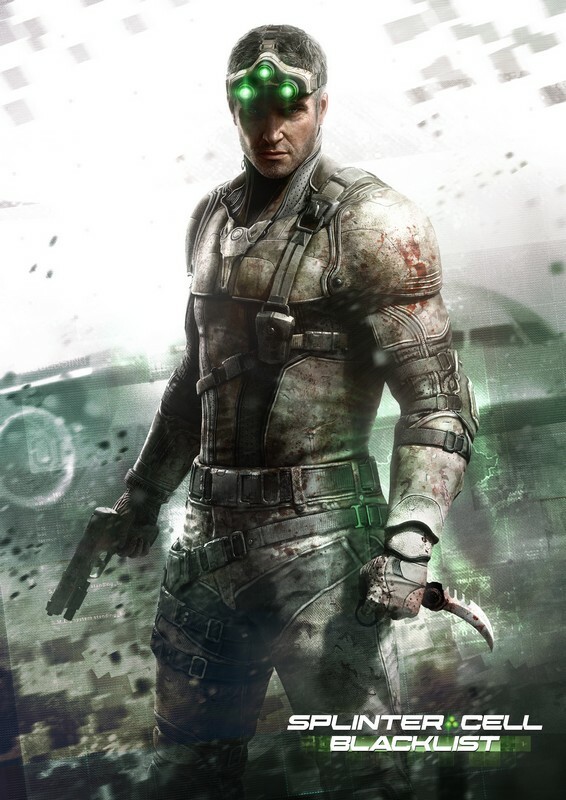 I have to admit that I tried to remain stealthy as much as I could – using rooftops and pipes to travel above the gaze of patrolling guards – but sometimes I failed miserably, mis-timing a jump and landing noisily between two guards, forcing me to pull out my pistol and blade and take them on. Soon, the bodies were piling up. You take the role of Corvo Attano, former protector of the Empress of Dunwall who was brutally murdered by a society of magical assassins. Her daughter, Emily, is kidnapped. Attano is framed for her murder and imprisoned but escapes, vowing to avenge the Empress’ death and clear his name. 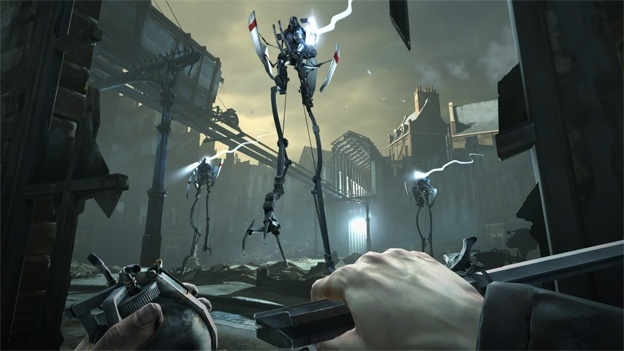 Dishonored is set in a steam punk-inspired world that plays a bit like the classic game Thief – skulking through the shadows and all that – and has nods to Bioshock about it (it may not surprise you that developer Arkane Studios helped in the art direction of Bioshock 2). Visually, Dishonored looks like a sumptuous water colour painting, with big daubs of colour everywhere, and Dunwall is a society with whales to thank: whale oil powers security systems and machinery, but since the Empress’ death it has succumbed to crippling plague and a tyrannical ruler. While weapons come into play, Attano’s real power lies in his left hand through magical powers given to him by the mysterious Outsider, who we never really learn much about but whose legend is scribbled on walls around Dunwall. The powers come through collectible runes carved from whale bone, which imbue Attano with a variety of powers like teleportation, possession (both animal and human), slowing down time, summoning up a plague of rats and wind, which knocks enemies over. Teleportation – or blink – was perhaps my most favoured power, meaning I could zip from point to point largely unnoticed and I suspect completing the game with just that one power would be entirely possible. Dishonored’s makers, developer Arkane, claim you can play the game how you want – stealthy or aggressive – but it seems the more confrontational you are, the darker the ending. 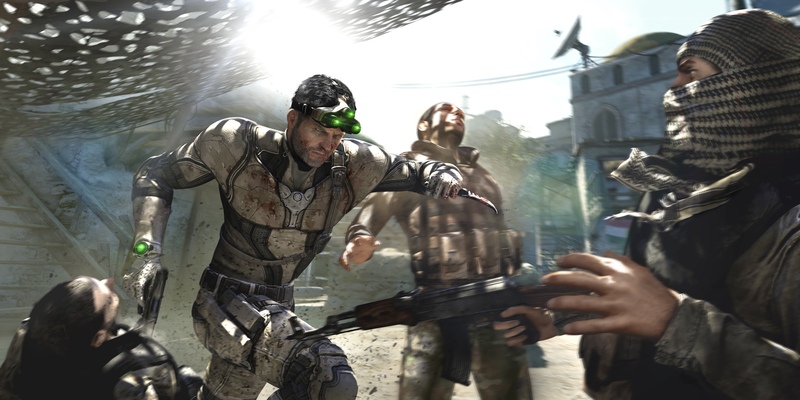 It seems the higher your chaos rating – end-of-mission stats tell you how many people you killed, how many alarms you raised and whether you slipped through unnoticed – the darker the game’s tone becomes, with NPCs telling you they’re not pleased with how you’ve become, and rats and weepers – zombie-like citizens infected by the plague – more prevalent. Dishonored surprised at times: I was chuffed that I was able to complete two assassinations without actually killing the target (although the outcome of one was perhaps not the best) and eavesdropping on conversations and reading letters and books often pays dividends – and it is pleasing to see there isn’t a boss battle in sight: no final confrontation where you have to attack a foe’s glowing weak spot three times in quick succession before finishing him off with a well-timed button press. Eventually, though, I realised that all-out aggression isn’t perhaps the best way to play Dishonored: stealth, cunning and a low body count seems to garner the ‘happiest” ending (although there are achievements which relish in how many people you kill within a specific time limit) – but by the time I realised that, it was too late: I already had too much blood on my sword. Dishonored isn’t perfect: a quick save for the console versions would be nice, but it’s not game-breaking, and using the left bumper to select powers and ranged weapons was a little cumbersome at times (every now and then I fired my pistol thinking I had a power activated). Also, acid-spitting molluscs just seem to be there for no purpose other than to annoy the hell out of you. When the game is finished, though, it’s not the bodies you left behind or the creeping about that you’ll remember most, but the subtle nuances revealed through the game’s world and environment, and the numerous layers that will be uncovered in multiple playthroughs. Dishonored is a game that is perfect for a return visit.